Having started with books before gradually breaking into other media, The Koogles is a character brand aimed at teens and tweens. The French-based brand strategy agency, 2-dream, was awarded the licensing rights in September 2010 which covered merchandising, digital, TV and publishing. Although toys have been slow to reach the UK, Aurora World's beautiful soft Koogles toys have sold well in the States and can occasionally be found on online auction websites over here. 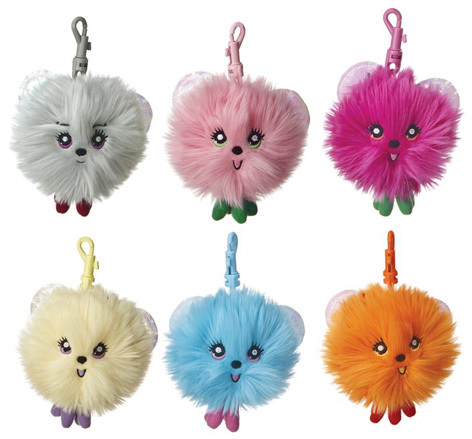 These impossibly cute and collectable characters are super fuzzy and come in a variety of vibrant colours. Each Koogle has its own character trait which you can find on their very own personality tag. Special colour-changing wings also helps to make these toys great gift items for children of all ages.